Almost everyone has been stopped for speeding at one point or another. Most people are more upset about the time they lost waiting on the ticket than about paying the actual fine. That thought may be different, however, if you have been stopped for excessive speeding, are an out-of-state driver, or if you already have multiple speeding violations on your driving record. Many people would rather just pay the fine for speeding than go to court and deal with the inconvenience. To some degree, that is the responsible thing to do. What most people don’t know, though, is how just paying the fine affects them in the long run. Traffic Attorney Anne Bishop understands that most people do not believe that they need an attorney for a speeding ticket. We get asked all the time, What reason do I have to get a lawyer for a simple speeding ticket? The simple answer is that we can point to at least 5 ways that we can help you with your speeding ticket. We can help you with Georgia law. 6 points for between 34 mph or more over the speed limit. The Traffic Attorney at A. Bishop Law can help you avoid the mistake of pleading guilty to a speeding violation that leaves you exposed to points and Super Speeder fines. We know that pleading nolo contendere may leave you just as exposed as a guilty plea in some cases, and we can explain for you whether it is a good option to use on your particular case or not. Aside from the insurance consequences, the price tag on the speeding fine itself can be costly. Speeding fines vary greatly across Georgia depending on speed and location. Fines range from a couple hundred dollars, to over $800. This does not include Super Speeder fines. The Super Speeder Law puts an additional $200 fee on any driver convicted of excessive speeding. Also, when your insurance company looks at your driving record, your rates may double or triple from just one speeding ticket. Further, this inflated rate may last for another two or three years. This means that if your initial rate was $100 per month, one speeding ticket could cost you an additional from $1200 to$2400 in insurance over the next year. We can often negotiate a plea for lower than 15 mph or have the charges reduced to non-moving violations that are not reported on your driving record, and avoid Super Speeder fees, or some combination of those options. For CDL drivers, this can be the difference between avoiding a simple fine affecting your normal Class C license, and a serious traffic violation that must be reported to your employer, and can affect your livelihood. Out-of-state drivers may save even more money as avoiding speeding charges, or having them reduced and taken care of in Georgia helps avoid more hefty fines or suspensions that your home state might also impose as a result. No matter which option is best for your case, having a Traffic Attorney will save you money. Defending yourself takes time. Probably more time than most people have to invest in it. And not preparing correctly almost guarantees you will not be successful. No one wants to miss work or school to contest a traffic ticket. It may take even more time if you are from out of state. Further, just paying the fine may waste even more time. Again, remember that in Georgia, Super Speeder fines are only assessed after a conviction. This means that you may not even know there is an additional $200 fine until you have wasted several months thinking the case ended with paying the original ticket. Further, if you are late paying the fine, your license will be suspended, and there is an additional $50 fee, and even more time associated with getting your license reinstated. We can save you time, both on the front and back ends, by helping you choose the best option for you considering all the consequences before the case even goes to trial. We can save you even more time if you are from out-of-state, by appearing in court for you. We can help you prepare for trial if all else fails. Knowing what information you need to fight a speeding ticket is crucial to having a citation dismissed, or winning at trial. If you choose to go to trial, the A. Bishop Law will thoroughly investigate and prepare your defense. We will make sure we have as much information as possible about your case, and help you understand what it all means. We want you to have all the information before trial so that you can feel empowered about making a decision whether or not to proceed. We can help you with the lay of the land. The Traffic Attorney at A. Bishop Law is a local attorney that knows the lay of the land. We practice regularly in the local courts. We know all the local court practices, how to get all the local courthouses, and who to talk to on your behalf. 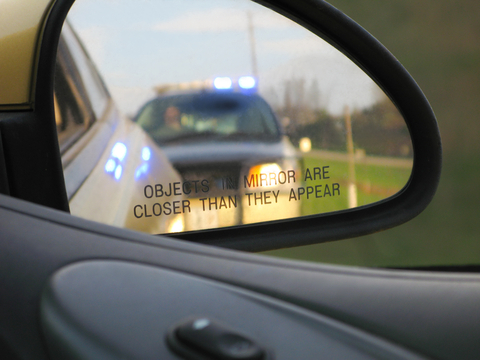 So, why do you need a lawyer for a simple speeding ticket? Because the Traffic Attorney Anne Bishop can make sure your simple speeding ticket remains a minor inconvenience, and not become a major problem.